In its fifth and final exhibition game prior to the FIBA World Cup, the 2018 USA Basketball Women’s National Team (5-0) needed nearly all four quarters to defeat host France 77-60 on Monday night in Antibes, France. With the USA leading 50-46 at the start of the fourth period, the USA outscored France 27-14 in the final 10 minutes to secure the win. Diana Taurasi (Phoenix Mercury) led the way with 16 points, six assists and five rebounds, and she was named MVP of the four-team, round-robin tournament, which saw France finish second, Canada third and Senegal in fourth place. Tina Charles (Connecticut Sun) finished with 14 points, including 10 in the fourth quarter, along with 12 rebounds; Brittney Griner (Phoenix Mercury) added 11 points, six rebounds and three blocks; and Kelsey Plum (Las Vegas Aces) contributed 12 points and five assists. 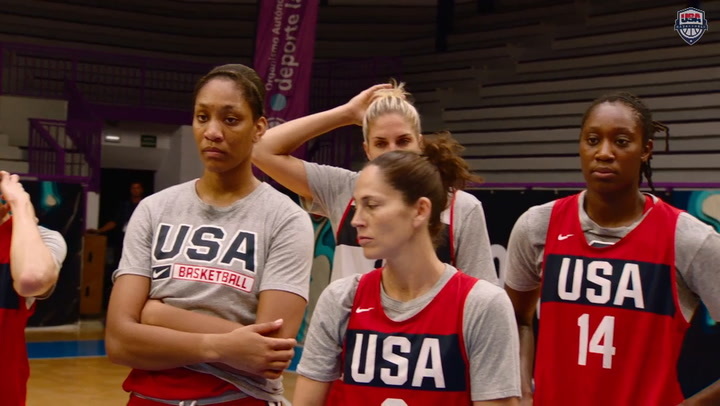 “It’s never easy playing three games in three nights,” Taurasi said. “But, I think we got a little bit better in every game. I think we found ourselves, both defense and offense, getting a little bit more chemistry, getting all on the same page. In the first quarter, neither team led by more than three points. And while the U.S. held France to just 30.4 percent from the field, it turned the ball over six times and was outrebounded by France 13-10 in the stanza. At the end of the period the score was tied, 15-15. 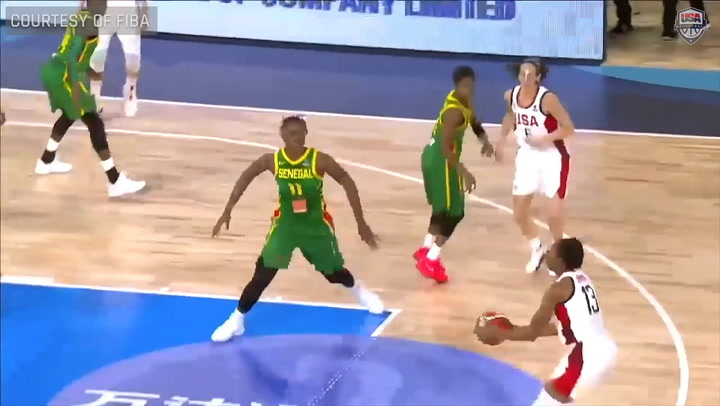 After trading scores for the first five minutes of the second quarter, the USA compiled an 8-0 run to lead 30-21 with 1:25 to play before halftime. France, however, finished the first half with two scores, and then a steal and 3-pointer in the final seconds, and the USA led 30-27 at halftime. At the midway point, France held the advantage on the boards, 21-19, and both teams were plagued by turnovers – 13 for the USA and 12 for France, including eight of those in the second quarter. 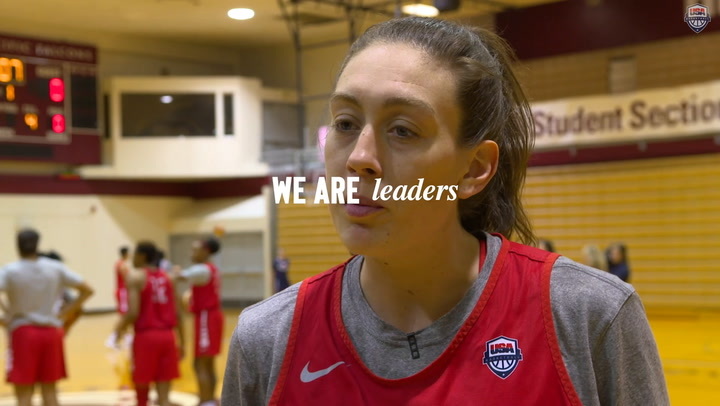 With the score tied at 34-34 at 8:12 in the third quarter, two points from Taurasi launched the USA’s largest run of the night – 13 unanswered points, and the USA led 47-34 at 3:56. France responded, though, and closed with a 12-3 run of its own, closing again to four points, 50-46, headed into the fourth quarter. France put the first points of the fourth period on the board, but four points from Charles and a 3-pointer from Taurasi gave the USA some breathing room – 57-48. For the first time all night, France had no answer for the USA, which went on to win 77-60. The 2018 FIBA World Cup in Tenerife, Canary Islands, Spain, begins for the USA against Senegal at 1 p.m. EDT on Sept. 22, followed by China at 1 p.m. EDT on Sept. 23 and Latvia at 1 p.m. on Sept. 25. After each team plays three preliminary round games, the second and third place teams from each of the four preliminary round groups will compete in the quarterfinal qualification games on Sept. 26, while the No. 1 teams from each group will advance directly to the Sept. 28 quarterfinals. The semifinals will be contested on Sept. 29 and the finals on Sept. 30.